This post about QuickBooks items is based on our more extensive training video of the same title in our Construction Accounting & Management Program (CAMP). 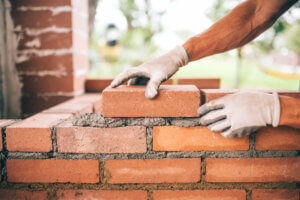 Why are QuickBooks Items Especially Important for Construction Companies? QuickBooks Items let you track, and report on, the financial detail underlying what’s REALLY going on within the financial side of ANY of your jobs! If you can track and measure what’s happening you can far more easily control the profitability of each and every one of your projects. Track actual detailed costs and income for each job. Create estimated cost and estimated income targets for individual jobs. 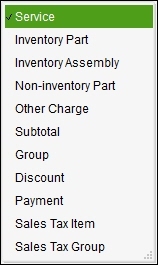 Track “Open Purchase Orders by Job” (often referred to as “Cost to Complete”). Compare Estimated vs. Actual Costs for different job stages and Estimated vs. Actual Income for either Fixed Price or “Open Book” jobs. Track, and control costs while a job is in progress (before costs spin out of control). 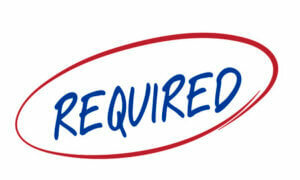 Ensure that you are invoicing, and getting paid, for all contracted aspects of the job (including Change Orders). Review “after-the-fact” results with your team. By doing this, you can continuously improve estimating, operations, and profitability. DIANE’S CRITICAL INSIGHT: Many QuickBooks users don’t realize the right ways to use Items. Here’s the big secret, if you DON’T use Items to enter your job-related costs, you’ll miss out on nearly the entire value of the job-costing process! Exactly What Are QuickBooks Items? Items are special “building blocks” integrated into QuickBooks desktop software. They are designed to let you track and monitor the critical detail about what is going on in your jobs. QuickBooks Items deliver a “high def” picture vs. the “standard res” output that you receive when you use only accounts. There are 11 different types of Items in QuickBooks. Each Item Type has certain qualities and performs certain tasks. It’s imperative to understand exactly what each type of Item “does” and whether it’s appropriate to use in your specific circumstance. Even though spec home builders refer to homes in process (or completed) as “inventory”, doesn’t mean they should use Inventory Items! You can create and customize Items to reflect YOUR specific construction process. Each Item also links into your Chart of Accounts. This means that with no double-data entry (!) you can see detail about individual job stages such as site preparation, foundation, framing, windows, etc. You will also be able to see standard accounting reports with job costs summarized in major categories. Those categories include Income, Employee costs, Contracted costs, Materials Costs, and Equipment Costs. Gross profit dollars and percentages by job. Gross profit dollars and percentages for your company in total. DIANE’S CRITICAL INSIGHT: If you decide to create your Item List on your own, try building it in a spreadsheet first. Once you get your structure laid out in a spreadsheet, then start creating individual Items inside QuickBooks. Why? This can be a time-consuming and somewhat tedious process. You’ll likely change your mind several times as you figure out what you want to track. It will be far easier to do your “brainstorming” and modifications in a spreadsheet. 1. Establish the Item TYPES you will use. Learn about the various Item Types, and understand how they link into accounts when you use them in transactions. Visualize how results will appear on reports. Finalize which type(s) of Items you want to use. 2. Determine the “primary” job phases you want to track. To fire up your thought process, here are the first seven primary phases that we built into our AccountingPRO™ Item List. 3. After you’ve decided on the primary job phases, decide the order in which you would like to see them displayed in reports, and number them accordingly. Tip: After checking in with various construction owners, we decided to set the AccountingPRO™ Item List to display the job phases. The resulting reports produced are then in “construction order”. You may wish to do the same thing. 4. Are there additional detailed stages that you’d like to track WITHIN the major job phases? 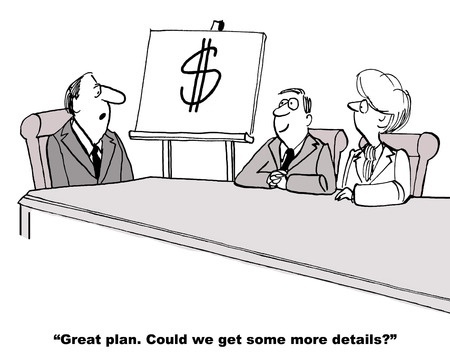 NOTE: Some estimators and company managers want to track a lot of detail, while others prefer less. Using QuickBooks Items, you can pick out what’s “just right” for you! For example, in AccountingPRO™, we include many detailed job stages. At the same time, it still allows you to inactivate Items you don’t currently need. That way you can see exactly the amount of information that you’d like to track. 5. Decide when you might possibly use the following accounts within each construction stage. For each of the detailed job stages you’ve identified, decide what type of account should display the results. Why is this important? Because you will be creating separate Items and linking them to the “Cost of Goods Sold” accounts you have established. Tip: If you want to see and learn even more about this topic, see our construction accounting class #1600 – The Item List: Secret to QuickBooks Job Costing. This class provides 72 minutes of in-depth, on-screen video and handout information about Items. You may also find class #1430 – Building Your Chart of Accounts (102 minutes) to be of value. Both of these “Level 1” classes are part of our extensive online QuickBooks video training series: Construction Accounting & Management Program (CAMP). 6. 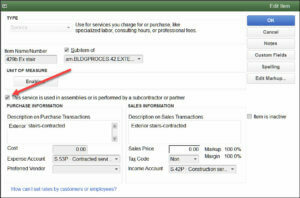 Set up your Item List (and Sub-Item List) in QuickBooks. After you’ve finalized your entire list in a spreadsheet model, you can begin setting up your Item list using your primary phases as “Header Items” (e.g., the primary phase of Exterior Trim would be a Header Item). The more detailed stages that you have identified would become QuickBooks “sub-Items”. For our example below “Exterior Stairs” is a sub-Item of “Exterior Trim”. As you create each Item, you will click on the box that says “This service is used in assemblies or is performed by a subcontractor or partner.” See the red arrow below. Note: I’ve always found this “QuickBooks description” to be confusing. Save yourself the bother of trying to figure this out. Just ignore the description and click on the box! You will see the Item transform from a “single-sided Item” into a “double-sided Item”. Here’s an example of an Item that uses the checkmark to create a double-sided Item that is a sub-Item of Exterior Stairs. Below that, you will see a screenshot of all of the “sub-Items” for “Exterior Stairs”. When you use the Item for purchases, it will post the results to the correct cost account. If you use it in an Invoice or Sales Receipt, it will post the results to the correct Income account. QuickBooks Items are one of the most powerful tools included within your QuickBooks desktop software. There are a variety of job-cost and management reporting features included in the software as well. Items are one of the most under-utilized, and most incorrectly used, elements within QuickBooks! In this article, I’ve done my best to provide a useful overview. I’m sure you’ll agree, however, that there are some fairly complex aspects involved in setting up a really useful Item List. If you’d like to learn more about the “ins and outs” of Items and other behind-the-scenes construction and job-costing secrets, I’d like to invite you to watch the videos that accompany AccountingPRO™. Even though you may not have an interest in this prebuilt construction template, the videos will help you to see how QuickBooks can work. It can help you track your job costs and create those incredibly valuable Estimate vs. Actual Cost and Income reports. Reports (“standard” and management and job-cost reports). AND if you’d like to truly understand, apply, the enjoy the benefits of job-costing, tracking, and monitoring for your company, you really should also take a look at what’s included in the Construction Accounting and Management Program (CAMP). You’ve nothing to lose by looking, and potentially everything to gain! 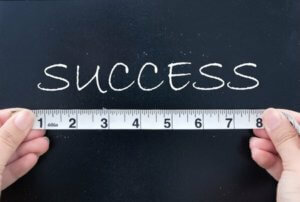 Here’s to your ongoing journey to success – during which we know that YOU can create “Better Numbers for a Better Business”!